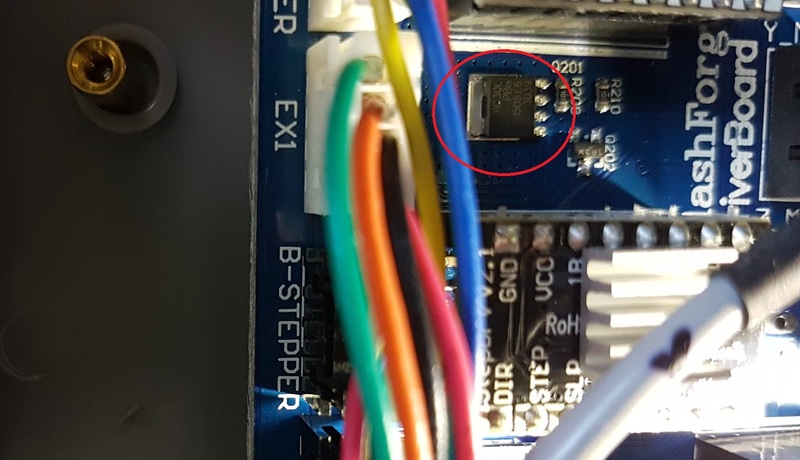 Typically, the fix for this would be to replace the driver board (About $90 from Aurarum), but in this case, it's pretty clear that the MOSFET has failed. I managed to get a clear photo of the chip markings by mounting my phone on a tripod and side-illuminating the chip with a torch. The original chip is a "11C30L" - plugging this into Google found this transistor, which looks like a suitable replacement. I've ordered a handful, and will update when the parts arrive.